Do you want to know how the rich got rich? Do want a proven plan to be a millionaire yourself? Of course you do! Who doesn’t want to learn “how to become a millionaire”? I wrote this article for you. I will give you a proven plan to achieve that goal. 15 minutes might save you a lot on car insurance, but the next 15 minutes will help you become a millionaire! I will show you how you can get richer, faster. It’s easier than you think. And the sooner you start, the sooner you get there. I will also show you how others have built their wealth, and how you can too! Who are Millionaires and How Did They Get There? Everyone wants more money. And why not? With more money we can go out to a nice restaurant for dinner, upgrade the size of our TV, buy the car we want, or get that house in the mountains or at the beach that we always dreamed of. So why do most Americans live paycheck to paycheck? Why is it that 1 out of 3 Americans don’t have $2,000 available for an emergency expense? Why is it that the average American household has a net worth of just $68,000? The first logical step in learning to make and save more money is to analyze people that DO have money. According to a study released in March 2017, at the end of 2016 there were 10.8 million millionaires in the United States. That is a record number and represents an increase of 400,000 from 2015. That increase is due to the recovery of the U.S economy since the 2008 recession and the stock market rally occurred after the 2016 Presidential election of Donald Trump. Make sure you understand your brokers’ compensation and be sure that the services you’re paying for are aligned with your interests! So, How Did Millionaires Make Their Money? According to Statista, in 2014, 22% of the wealthy individuals interviewed said they had inherited the majority of their wealth, and 78% stated they earned the majority either through income from work, investment, real estate or through the sale of their business. So if you are lucky enough to be part of the 22% that inherit wealth, congrats! You are lucky, and you are probably NOT reading this article! Those who made it to millionaire status all say that having a PLAN was the single most important factor to their financial success. That is, having a plan to make your money work for you and GROW faster than you can spend it! The fact that you have continued to this step indicates you didn’t just inherit a $1 million. That’s unfortunate for you, so let’s keep going. My grandfather was a great man, but he didn’t have any financial education and he was so risk adverse that he would never invest in the stock market. He preferred the safety of his bank, he liked knowing the bank tellers, and he liked being able to walk in and cash a check for $50 whenever he needed money. If you are risk adverse, if you don’t trust “Wall Street,” then this will probably be your scenario:If you are 18 years old, afraid of Wall Street, afraid to learn about the stock market, have $5,000 in the bank, and save $250 a month and the bank pays you 3% interest, then you will be a millionaire in 78 years when you are 96 years old. Sadly, my grandfather didn’t live that long, but I hope you do. My father was a little bit more of a risk taker and he invested his savings mostly in Treasury Bonds and partly in the stock market. The Treasury Bonds are backed by the U.S. Government so he didn’t have to worry about losing that money, but he only earned about 5% on that money. As he grew older and starting seeing the better returns of the stock market he started investing more of his savings in the market. He also did something really smart–as his income grew so did the amount he invested in the stock market. If you are willing to take some risk, if you are disciplined enough to save more each year as your income increases, then you will fair much better. This will be your likely scenario:If you are 18 years old, willing to take some risk in the stock market, disciplined enough to increase your annual savings, have $5,000 in the bank and save $250 a month, increase that savings rate by 5% per year, buy bonds and stocks and earn an average of 5% on your investments, then you will be a millionaire in 41 years when you are 59 years old. I was fortunate enough to have a natural gift for math. I went to college with a math scholarship and turned that into a Master’s degree in Finance. I have studied math, accounting, and finance; and I have start a business (yes, I started Stock-Trak, the company that owns this site). In my short career I have met many wealthy individuals and I have learned a lot from them about building wealth, keeping wealth, and growing wealth. In my travels teaching others about learning how to save and invest, it has become crystal clear that high schools and colleges do not teach students about savings and investing–so I am doing it right now in this “How to become a Millionaire” post! My Millionaire Scenario is more like this: When I was 18 years old I had saved $5,000 from working at McDonalds, cutting grass, shoveling snow, and high school graduation gifts. 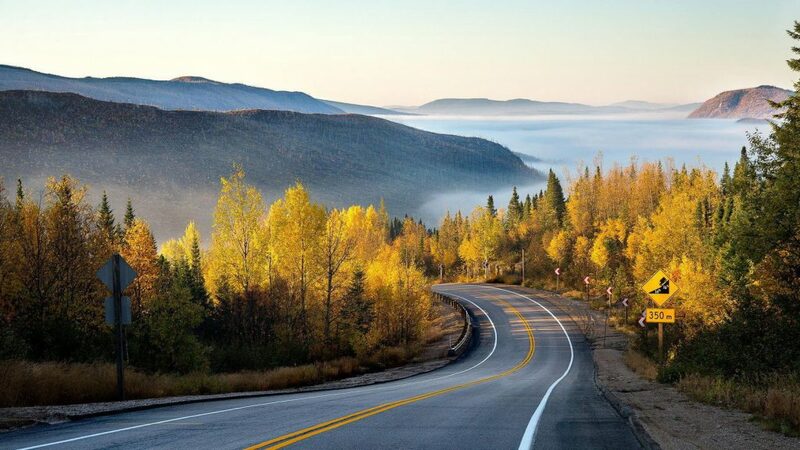 I continued to save $250 a month, increasing that savings rate by 8% per year, and investing all of my savings to get an average return of 8%, then it will take me a total of 30 years to reach $1 million–about the time I am 48 years old. The point of those 3 examples is to put savings and investing into perspective and to recognize 3 important components of a savings plan. Second, you need to be saving more each year as your earnings grow. Third, the rate of return that you get your savings has a substantial impact on how fast it grows. Spend as little as possible so you can SAVE (and invest) as much as possible. Invest your savings and earn the highest rate possible. That may be idealistic, so let’s break those 3 concepts down into realistic, bite-sized nuggets. 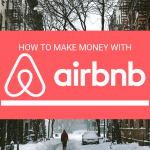 It might be obvious you need to “make as much money as you can,” but are you really doing that? Do you ask for a raise every year at work? Do you have an incentive plan? Can you drive and be an Uber driver a few hours each weekend? Do you take surveys where you get compensated for your time and comments? Do you take advantage of every tax deduction or tax incentive on your tax return so that Uncle Sam takes as little as possible? EVERY DOLLAR COUNTS! Take all that you company offers. Does your company offer a retirement plan where they will contribute to your retirement account? If so you need to max out on the company’s contribution. That’s free money and you should take all of it that you can. In terms of spending money, keep in mind there’s a difference between wasting money and spending money. Buying the Venti Latte at Starbucks is wasting money when a Tall Coffee is cheaper and better for you. Do you realize that if you can reduce your Starbucks bill (or your cable bill or your cell phone bill) by about $10 a week or $50 a month and increase that savings 10% a year and earn 10% on that savings it will be worth a QUARTER MILLION DOLLARS in 28 years? Now wouldn’t THAT would be the easiest $250,000 you ever made! most Americans could save lots of money each a year if they would just become better shoppers. He says to load up on toilet paper, toothpaste, and other items that you will always need when it is on sale, because you know you will always use it. But keep in mind that buying something you don’t NEED just because it is on sale is NOT being a good shopper, it is being wasteful. Start by looking honestly at your lifestyle. In order to start building wealth you MUST have a clear idea of your income and your expenses. Make a list of all of your sources of income in a given month, and then grab your bank statement or credit card statement and write down every expense. Where did all of your money go? Identify some expense that you can reduce or eliminate immediately. and he was right! Review your expenses and reduce your cable and phone bills by dropping services you don’t use or don’t need. Call your cable company and threaten to switch to a competitor and see how quickly they will cut your bill. STOP PAYING INTEREST AND ANNUAL FEES ON YOUR CREDIT CARDS! Do you have the right credit card? Are you paying annual fees and interest? Make sure you have the best credit card for your spending habits and needs. Don’t pay annual fees and don’t pay interest unless you have to. If you are paying interest, find a credit card that offers low interest or zero interest balance transfers–that’s almost like getting FREE MONEY. Check out the table below to find a Balance Transfer option or a Low Interest Credit Card.–If you have a $10,000 credit card balance and you can reduce your interest rate by 5% then YOU JUST SAVED $500 A YEAR!–If you can get a 0% balance transfer for a year then you might save $1,800 a year! Click on the Balance Transfer line below in the upper right column and see how you can get a 0% interest for 15 months balance transfer. This means that to start building wealth you must start saving TODAY. Start putting 5-10% of every pay check into saving first. Then when you start running out of money you will be forced to save and not waste your money. Take a look at these savings rates and make sure your uninvested cash is earning a decent interest rate. Many banks allow you to set up automatic transfers so set these up to make sure you are paying yourself first and starting to save now with every paycheck. There will be pain at first, but remember you eat in because you like your cooking better. You order a tall Latte because it’s healthier than the Venti. You drive an older car because you like the style. Ok, so that’s enough about maximizing your income and minimizing your expenses. The next step will tell you how to get the highest return on your money. 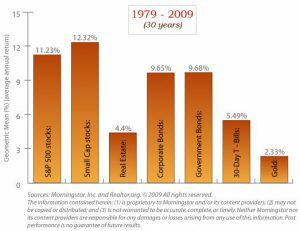 Simply put, when you have money to invest for an extended period of time (like 20 years or more), the stock market historically has provided the greatest return. When most people are able to save money, they usually put it in the bank. Banks usually pay interest on the cash in your account, so if you have $1,000 in your savings account and the bank pays you 3% interest then at the end of a year you will have about $1,030. 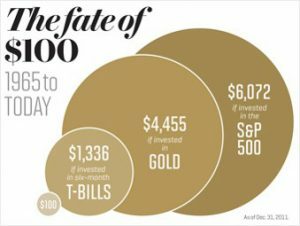 Once the savings balance gets bigger, a lot of people hope to earn more than what the bank is paying in interest, so they invest in real estate, stocks, bonds, and/or gold. While no one knows for sure what will happen in the future, a look at historical returns shows how these different investments have performed over time. From this chart we see that Small Cap Stocks (that’s the smaller companies that trade on the stock exchanges as opposed the Large Caps which are the biggest companies like Exxon, WalMart, Apple) and the S&P500 Stocks have performed the best at 12.32% and 11.23% compared to Bonds at 9.6%, Real Estate at 4.4%, and Gold at 2.33%. So what does that mean? Over time there is a HUGE difference between 12% and 2%. Here is another way to look at it–this chart shows the growth of $100 for the 46 years from 1965 to 2011. So, would you rather have $1,336 or $6,072! That’s a big difference for just $100. For $10,000 the results would be exactly 100x or $133,600 versus $607,200. 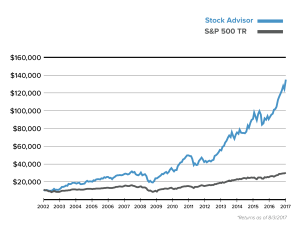 Finally, looking at a longer time period, this chart looks at average returns for 85 years and shows that Small Stocks were the best investment with an annual return of 16.5%. In this table you also need to note the Standard Deviation column which measures the variance or volatility of the returns. It shows that Small Stocks also have the highest variance. This is why we say “over time” that stocks have the highest returns. If you looked at just one year or even five years, you might not see the same results because stocks are so volatile, but the longer the time period you have to keep the money invested the better it is to invest in stocks. Simply put, if you want to maximize your personal net worth, if you want to be “rich”, if you want to be a “millionaire”, if you want to retire early–you must start saving and investing TODAY. The earlier you get started, the more time your money has to grow. And the more time it has to grow, the bigger it will become. Understanding how the stock market works and how to invest is so important because it determines how much your net worth will be when you retire. Are you going to leave your cash in your savings account at the bank all your life and earn an average of 3%? Or are you going to invest it in the stock market and try to earn 11%? The first thing is do is to open a brokerage account. Take a look at StockBrokers.com site because they review all of the best brokers and tell you what the cheapest commissions or other promotions are. 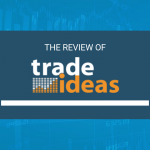 The second thing to do is to subscribe to a few stock selection newsletters to help you stay on top of the stock market and to get a constant flow of ideas. Our favorite, and the one that performed the best in 2017, is the Motley Fool’s Stock Advisor Service. CLICK HERE now to get their latest picks. The third thing to do is to use the virtual trading component of this WallStreetSurvivor.com site and practice investing with a virtual $100,000. Use this virtual trading site to learn to invest and experiment with trading strategies. Don’t worry if you make mistakes–better to lose our fake money then your real money later. 1. 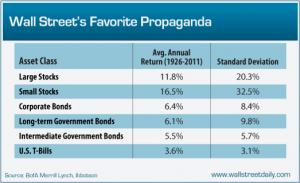 The Stock Market historically is the best place to invest money over the long term, averaging 8-12%. 2. Find a brokerage account that suits your needs by reviewing StockBrokers.com to see the latest offers. 3. Sign up for a reputable stock selection newsletter like the Motley Fool’s Stock Advisor Service. The formula above is the millionaire’s secret to building wealth over time. The Future Value of your investments grows exponentially over time based on the “i” rate of return. This is because you earn interest on your interest (that’s called “compound interest”); or in the case of the stock market, most stocks will pay dividends and you should re-invest those dividends to keep your money compounding. In the last lesson we showed you that the stock market historically offers the highest rate of returns compared to bonds, gold, real estate, and cash. So what exactly does that mean? It means that if you want to grow your wealth the fastest, then you need to start NOW and you need to invest in the stock market NOW! The sooner you get started, the faster it grows. The more you invest, the more it grows. All of this assumes that the market will continue as it has the last 100+ years, averaging 8-12% over most 10-20 year periods. Sure their will be downturns and recessions. But that is a good thing IF you are buying stocks. Just think of it as “stocks are on sale.” The only time you DON’T want the market to go down is when you need to start pulling the money out. Let’s take a quick look at an example of how compounding works. In the table below, Saver A is really a non-saver and parties for 8 years and doesn’t save a dime. Saver B has already taken this Millionaire Crash Course and knows to start saving as early as possible. Saver B saves for 8 years and then even stops saving at the time Saver A starts saving. 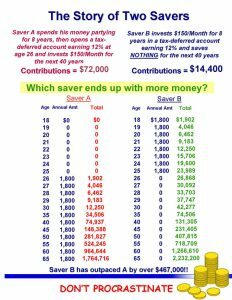 Assuming their investments grow annually at 12%, Saver A NEVER catches up to Saver B! That is just math and math doesn’t lie!